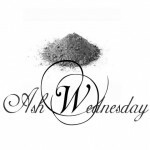 Ash Wednesday is one of the most popular and important holy days in the liturgical calendar. Ash Wednesday opens Lent, a season of penance, reflection, fasting and prayer – which prepares us for Christ’s Resurrection on Easter Sunday, through which we attain redemption. Ash Wednesday takes place 46 days before Easter Sunday, and comes from the ancient Jewish tradition of penance and fasting. The practice includes the wearing of ashes on the head. The ashes symbolise the dust from which God made us. As the priest applies the ashes to a person’s forehead, he speaks the words: “Remember that you are dust, and to dust you shall return.” Alternatively, the priest may speak the words, “Repent and believe in the Gospel.” The ashes are made from blessed palm branches, taken from the previous year’s Palm Sunday Mass. Blessing with ashes will take place at mass in St Patrick’s Church during 9.30am mass & 7.30pm Mass on Ash Wednesday. Ashes will also be available throughout the day to bring home. For home: Place your thumb in the Ashes and make a sign of the cross on the forehead of the person and say “Repent and Believe the Gospel”. The person can respond with “Amen”. Lord, on this special day of Ash Wednesday, may my small sacrifices be a way to allow me to see you more clearly. Help me to honour this day with the ashes on my forehead. They help me remember where I have come from and where I am going. I pray that this Lenten season will make me so much more aware of how much I need your healing in my life.